This is a follow up to: 'Belzec: a fraudulent excavation', see link at bottom. 'Belzec - the Nazi camp for Jews in the light of Archaeological Sources', by Andrzej Kola. Apparently this was the actual source for the journal article above that I dissected. Revisionist, Tom Moran now has a copy as well, so between the two of us you will soon see the mother of all phoney archaeological digs exposed further. Debunking this nonsense really isn't that difficult. Overcoming religion, wishful thinking, and superstition are all together different matters. That's good. Any way you can scan it in so that the forum may read it? With all due respect for the quality of your assessment, other Revisionists may want to read the document themselves and make up their own minds about it. The critique from Moran is forthcoming. It's incumbent upon you to refute it. It's revealing that the Believers have not scanned it themselves. Why is that? You'll find out why soon. As far as I know the only place this book exists is in the Library of Congress. It's possible that it could be available from the 'U.S. Holocaust Memorial Museum'. Scanning the whole thing and pasting it up in public could incite some roars about copywrite. Who knows, revisionist opponents out here could even 'squeal' on its appearance to the author and publisher. It's not something the publishers and author would really want going around. It's obviously something that would raise eyebrows for the professional. It's hard to understand why they would have caused its creation in the first place since it makes the scam so very absolute. Going by the copy in the book along with other Belzek 'details' the Germans killed 600,000 J-ws and buried them directly in the ground. Then sometime while the Germans were still in control of the area Polish civilians went in and totally excavated the hillside looking for treasures. The Germans discovered the plundering and proceded to dig up all the remains and cremate them and then buried it all. Some tens of thousands of bodies were left uncremated. Then after the Germans were driven out and the war was over the Polish citizens went in again and totally dug up all the pits still looking for gold and jewels. Then in Oct. 1945 the Polish and Russians did a 3 day investigation of the dug up site and the only results that we can find out about this investigation are a few scant references to one or two survivors. Fact is if the Polish government or anyone else wanted to show the world that all they have on Belzek is true is to allow an independent investigation with skeptics and believers standing by as a backhoe dug a few trenches here and there. The whole thing wouldn't take but a few hours. The ultimate denial would be the Holocaust community telling you straight to your face that they couldn't allow any excavations because it would defy J-wish burial laws. KOLA, A.: Belzec - the Nazi Camp for Jews in the Light of Archaeological Sources. Biblioteka "Przeszlosci i Pamieci". Excavations 1997-1999. I sent off a note of inquiry about the book and how to go about getting one and I'll wait to see what happens. All I have is a full photocopy of the book but I would like to have an actual copy. If you have the info let us know. Also I would prefer to pay by US Postal money order not liking to sling my credit card number around so if there's an address maybe you could include it. Could be the US Holocaust Memorial Museum has it. I did likewise. I will post the response in this forum. Bitte zahlen Sie per Scheck oder überweisen Sie den Betrag für uns kostenfrei. Auch eine Abrechnung über Ihre VISA- oder MASTERCARD ist möglich. You can pay by check (Money order) or wire the amount without costs for us. Payment by VISA or MASTERCARD is possible. I saw that David was inquiring about an alleged study of Belzec; have a look David. Did anyone get actually any original book until now?! I keep it with my comic books. Congratulations for finding and sharing this. Although Belzec and the other three so called death camps are lesser known than the Twin Towers or Twin Towns of death, Auschwitz and Treblinka, it is still a great tool and resource to pitchfork those camp claims over the fence. After reading "Lectures on the Holocaust", I realized there are probably 300-400 clear proofs listed that the Holocaust is a lie. There are so many in Germar's book it is incredible. ( As a a side point, one friend I sent a copy to, who was undecided on the hoax, called me after reading only 30 pages and was shocked at the facts Germar reveals which prove the Holocaust is a hoax. It costs me $27 for the book, but I also converted a Catholic high school teacher who is respected by peers and very well connected socially and politically. This teacher has two high school aged children, (and more younger children ) and has already taught them the truth of the hoax. One by one friends of this teacher are also learning the truth, because they are asking me for more information. Many more stories like that and I am still buying copies of that book. I intend to extract those reasons and then select the 20 most powerful for use in future discussions with people. 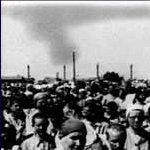 Perhaps as a group effort, people could begin to list the facts that prove places like Belzec were not death camps. Sort of like a reference sheet, which would be great for use on the phone with skeptics, promoters, or folks who are seeking answers. As Mattogno points out, Kola found graves all around the outside areas of the camp in the most willy nilly arrangement, but not in the smack center of the camp. How perfect since that's just the place where they wanted to dig up the ground and build the memorial. The problem with Mattogno's view is that Kola's fake 'study' doesn't show any human remains. Kola claims them, but curiously avoids showing them. Why? Mattogno is being unnecessarily kind to Kola.